Exploration of 3D protein structures provides a broad potential for possible applications of its results in medical diagnostics, drug design, and treatment of patients. 3D protein structure similarity searching is one of the important exploration processes performed in structural bioinformatics. However, the process is time-consuming and requires increased computational resources when performed against large repositories. 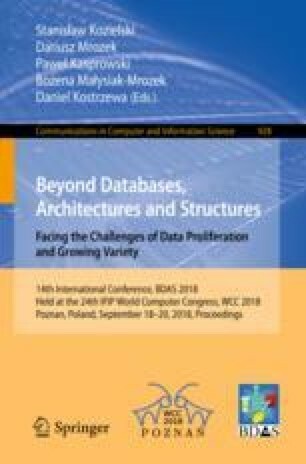 In this paper, we show that 3D protein structure similarity searching can be significantly accelerated by using modern processing techniques and computer architectures. Results of our experiments prove that by distributing computations on large Hadoop/HBase (HDInsight) clusters and scaling them out and up in the Microsoft Azure public cloud we can reduce the execution times of similarity search processes from hundred of hours to minutes. We will also show that the utilization of public clouds to perform scientific computations is very beneficial and can be successfully applied when scaling time-consuming computations over a mass of biological data. This work was supported by Microsoft Research within Microsoft Azure for Research Award grant, and Statutory Research funds of Institute of Informatics, Silesian University of Technology, Gliwice, Poland (grant No. BK/213/RAU2/2018).